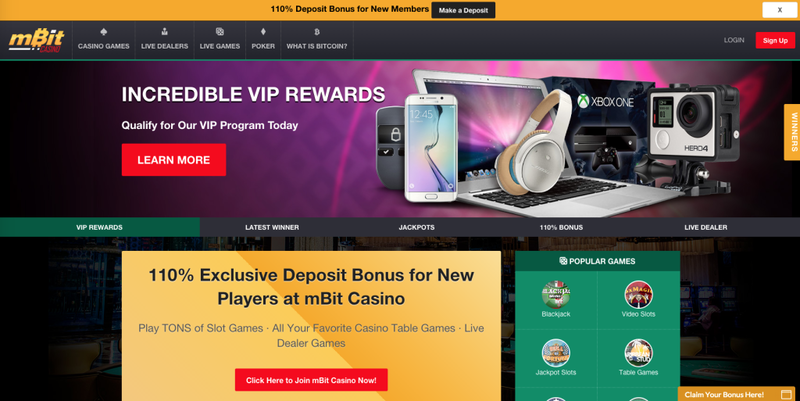 MBit casino launches a lucrative VIP program and expands its offerings for Bitcoin gamers worldwide. Already one of the biggest Bitcoin casinos in the world, mBit has announced its plans to continue its aggressive expansion in the online casino world with a redesigned VIP program, new games and the addition of a sportsbook. The new VIP program is set to become a very lucrative one. Regular players will be rewarded with prizes such as MacBooks, new Bose headsets, Bitcoin hardware wallets, GoPro 4 Silvers, and even an all-expenses paid holiday to the Maldives. Players will be informed when they qualify as a VIP and will receive bi-weekly updates on their VIP status from a VIP hostess who is available 7 days a week for questions and special offers. An exclusive VIP lottery will be implemented where all VIP members can enroll to win any of the prizes from the prize collection at random. The upcoming sportsbook will have features over the competition, and offer members new ways to play. mBit’s objective is to offer the full menu to Bitcoin gamblers by creating a centralized platform for all Bitcoin gaming needs. Their user-friendly interface is already top-of-the-class and registration and deposits are instant. Games and live dealers load virtually instantly and the customer support team is always on standby to quickly assist players with their needs. These are exciting times for mBit Casino and all its members. Already providing 24/7 live chat and 400 BTC available in slots jackpots, mBit delivers the strongest case as to why they are one of players’ favorite Bitcoin casinos. mBit already holds the world record for the largest ever Bitcoin payout of 260 BTC or approximately $60,000 USD and has attracted low, medium and high stakes players from every background. mBit Casino strives to stay ahead of the curve by offering an industry leading initial deposit bonus of 110% up to 1 BTC. With live dealer games like blackjack and roulette supplemented with an array of slots games from Betsoft, Play’n’Go, Takitso, Ezugi, Betgames, Gameart and Endorphina and even video poker, mBit is well known as a provider of premium content and one of the biggest online casinos.